Is There a Reason Why Sailor Moon is Set in the Eighth Grade? When I first saw Sailor Moon (in English) back in my younger days, I remember looking at the Sailor Soldiers as piers to my age group – actually even slightly older than me. Now that I’m older, the series itself has seen its own 20th anniversary come and go, and I end up looking back on the series from the point of view of an adult, it seems a bit strange that the the super heroines who fight for love and justice and frequently save the world from the forces of evil are 14 year olds – simple eighth graders in the middle of junior high school.1 After taking a closer look, though, it may not actually be all that surprising that the series was placed in junior high school, or even more specifically in the eighth grade. But why is that? 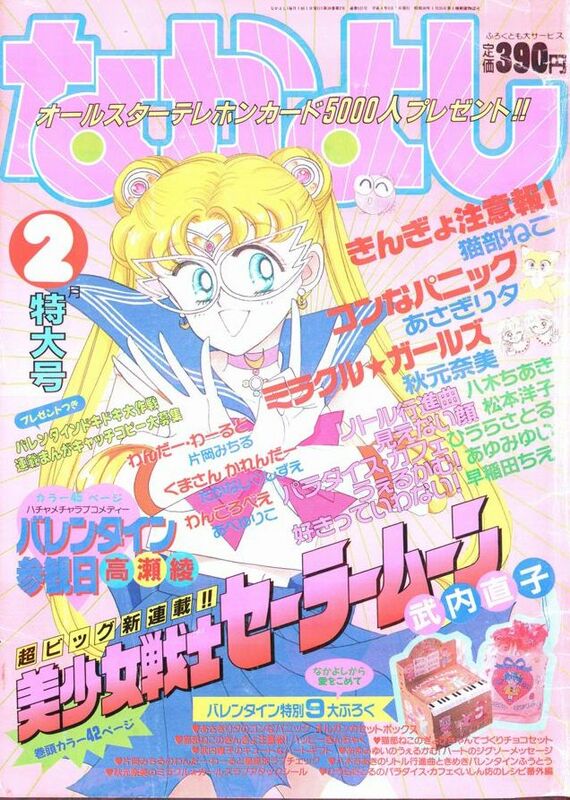 The first thing to point out is the target audience of Nakayoshi, the magazine which carried the Sailor Moon manga. 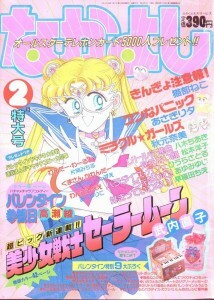 Much has been said about the widespread readership of manga in Japan, with 32.7% of respondents aged 15 to 44 in 2012 poll by NTT Communications stating that they “love manga,” and an additional 41.7% expressing that they like it.2 That being said, frequent readership among women peaks in the early 20s (44.8%) before sharply declining in the their early 30s (18.6%). The trend for men is rather different, peaking in their late 20s (46.7%) and hovering at 35% until their early 40s. However, there’s more to this story than the numbers would imply. Nakayoshi is a manga which skews relatively low for their target audience – around the third grade level of elementary school and through junior high school, judging by advertisements and content. 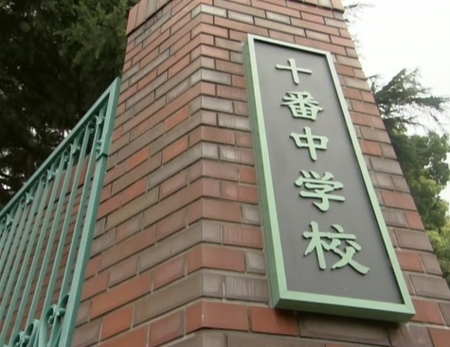 This would make junior high school a prime setting for the Sailor Moon universe, as it adds a sense of maturity when looked at from the view of an elementary school student, still allows for the idea of budding romances, and also addresses the changes and uncertainty junior high school students themselves are facing. But when you take a look at the bios provided by Ms. Takeuchi for all five of the initial Sailor Soldiers, you find that they’re all 14 years old, and all in the eighth grade. What’s the reasoning behind that? Read also: What is the Inspiration for the Spiral Heart Moon Rod? Once again, this takes us back to the structure of the Japanese school system and how you graduate and move on to higher education. In the sixth, ninth, and twelfth grades (the final years of elementary, junior, and high school respectively), Japanese students devote much of the year to preparing for and taking exams for junior / high school and university / college. These periods are referred to (half) jokingly as “examination hell” (受験地獄; juken jigoku) and the students as “examination students” (受験生; jukensei). In the post-bubble, highly competitive early-90s, competition was incredibly fierce and only the students with the best scores would get into the best schools. What this means is that for the sake of storytelling, it wouldn’t make sense to set the cast of Sailor Moon in the ninth grade, as it simply wouldn’t make sense for them to have the free time that they seem to have for going to arcades, meeting up, etc. They also couldn’t be in the seventh grade, because Code Name: Sailor V – the prequel series – is set then and there wouldn’t be enough time to allow that series to run. This would also help partially explain why, as posited earlier regarding the rebirth of the Sailor Team in Sailor Moon R, the timeline was reset. This gave Ms. Takeuchi and the anime team another year to avoid that troublesome issue of test-taking and studying. Though I should stress that these are just my thoughts on the matter, taking into consideration the cultural norms and school systems of Japan, there’s at least some supporting evidence for this. At the very least, it’s interesting to think that there’s some logic behind the choice of having a team of eighth graders fight to save the world! Read also: Is Moonlight Densetsu a Rewrite of Another Song? ← Why Did Rei Go to a Christian School? Awesome. This was something I was wondering about.